Gulab Medallion Kashan is a stunning handmade carpet which is meticulously hand-woven by our skilled artisans in finest quality silk and cotton material. It is ideal for a low traffic area in a home. 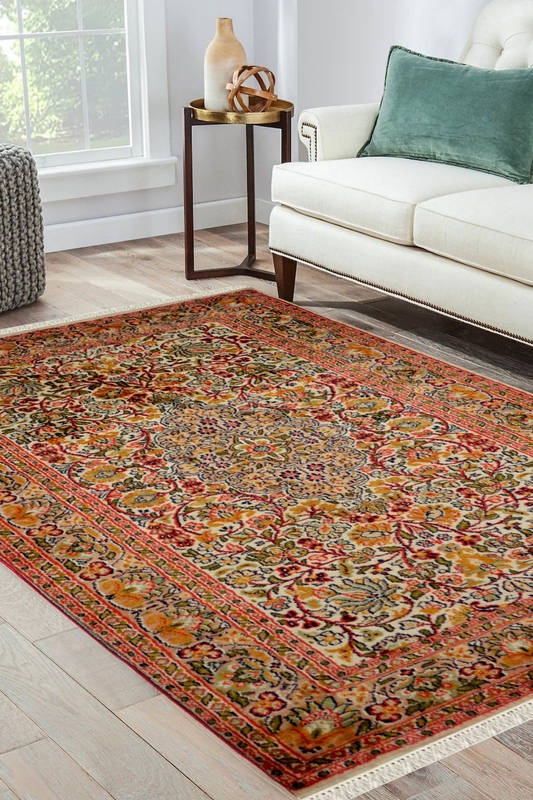 Gorgeous Gulab Medallion Kashan rug is in stunning colors and extremely different pattern. This Kashmir rug is Handmade in cotton base and has pure Silk on top. Number of Knots in this rug is 324 knots per square inch approximately. The main color is soothing pink, Ivory green, and yellow. Feel the glory of rich Kashmir art and culture by placing this beautiful handmade carpet in your home.